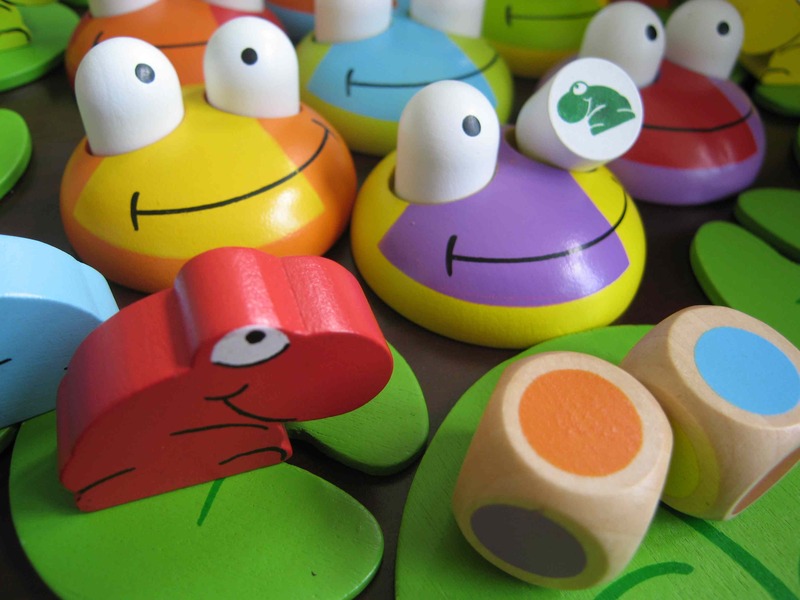 Taking turns, players roll the dice and lift one eye from the adult frog that matches the colors shown on the dice. If the lifted eye shows a baby frog, he has been spotted and the turn goes to the next player. If the eye is blank, the baby frog wasn't seen, the player advances to the next lily pad and rolls again.